This addictive track was originally created by Michel Boonstra in 2009 and enhanced/retextured in 2011 by Euro Danny. Enjoy! 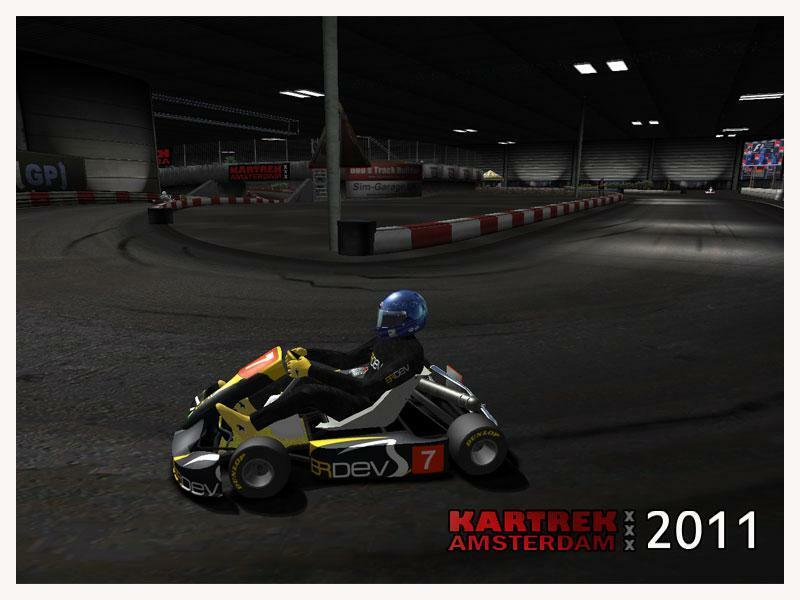 There are currently no setups for Kartrek Amsterdam 2011. Add a Setup. Fantastic track, probably the most immersive track on rFactor. Indoor tracks seem so much more believable. Please do more like this! When this version was released I had downloaded it a couple of times, but I could not unrar or unzip the dowloaded files, so I could not try this track. Now it is released on BockBierbude I finnaly got a chance to try it. 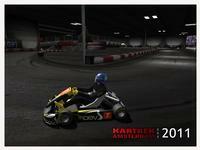 This track proves it is perfectly possible to make an indoor karttrack for rFactor. It looks very good, and I really mean VERY good. It is also very driveable. Unfortunately the layout of this Amsterdam Indoortrack is not so great. So EuroDanny, if you like to make another rFactor indoor karting track, let me know, I can give you some maps, video's or what else you need to make a great indoor kartrack. ...Well when i now tested properly, it´s not too dark. It´s perfect! Yes it´s awesome track, but too dark for me too! a really answone job! thanks a lot again for this new version!